NINE'S new-look Today has suffered a bitter blow after yesterday's much-hyped relaunch episode fizzled in the ratings. Just 197,000 viewers across the five metropolitan capitals tuned in to watch the new, Karl Stefanovic-free Today yesterday, compared to 266,000 for Seven's rival breakfast program Sunrise, Mediaweek reports. That's a 35 per cent gap between the two programs - and a massive win for Seven. Combining metro and regional viewerships, Today pulled in 311,000 viewers yesterday to Sunrise's 427,000 - making for an even wider 37 per cent gap. , Today made headlines when ratings first dropped below the "critical" 200,000 mark, the show plunging to 199,000 viewers across the five metropolitan capitals. The last time Today had posted such low ratings was way back in 2006, when it pulled in just 187,000 viewers. This new ratings blow comes after many viewers wasted no time delivering their verdict on the Today revamp yesterday. 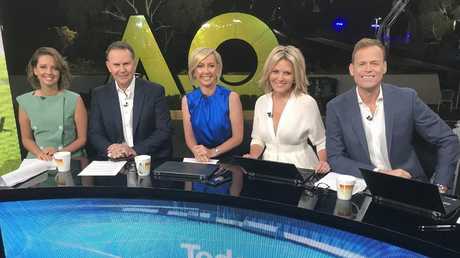 It had barely been on air for an hour when viewers started to flood theprogram's Facebook page, listing a barrage of complaints including that the new line-up is "so boring" and that "the gap between each person isn't even and the desk is too small". Addressing the shake-up at the top of the show on Monday, co-host Georgie Gardner - the only host to survive the on-air shake-up - described it as "the very first day of a new era on Nine, with a new-look Today show team". Deb Knight, who was named as Karl Stefanovic's replacement earlier this month, admitted it felt like "the first day of school". "Thankfully I'm not the only one on the desk who feels like the first day of school. I have new members of the team - and welcome to Tom Steinfort and Brooke Boney and Tony Jones," she said. 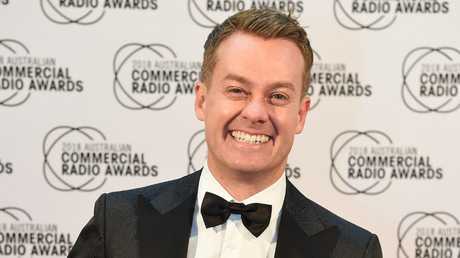 Former Sunrise weather presenter Grant Denyer was among those to stick the boot in yesterday, declaring on radio that he didn't see the new line-up working. "What you've got to remember is that breakfast TV is entertainment first - it's bright lights, it's bright colours, there's cash cows, there's money being thrown at you as a viewer … it's a poker machine, is what it is," he said. "So you've now got two very experienced, serious, wonderful interviewers (Deb Knight and Georgie Gardner) - incredible journalists - but you don't have entertainers." Meanwhile, one former Nine star shunted in the reshuffle has let it be known he's on the hunt for new employment. Former Weekend Today presenter Peter Stefanovic, who was axed in December in a dramatic staffing shake-up after 15 years at the Nine Network, is looking for "any upcoming relevant opportunities" in the industry. According to a post shared by Stefanovic's management in media newsletter Social Diary on Monday, the journalist is also open to "ambassador roles and MC/Hosting opportunities". 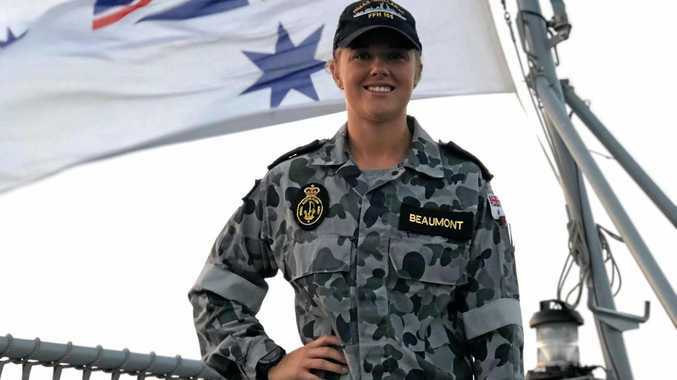 News Former Tannum Sands resident who's on board the HMAS Ballarat shares Anzac Day message to her friends and family. News Gladstone commemorates Anzac Day at dawn services around the region.